Jebao Pond Water Feature Pump comes with a highÂ efficiencyÂ encapsulated impeller and pre-filter. Jebao Pond Pump can be used in submersible or non-submersible applications. The outlet connector is 1" pipe thread. Jebao are an OEM (Original Equipment Manufacturer) for several brands of pumps in Australia. 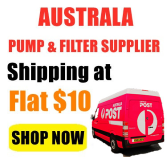 Jebao pumps are re-badged in Australia and sold as Aqua Nova Pond Pumps, Tornado pond pump, Bianco pond pump, Hydrapond pond pump, AquaPro, PondMax pond pump and Watermaster pond pump. We also stock the Jebao External Pond UV Bio-Filters. If you need advice or assistance to choose the correct water pump for your Pond, Aquaponics, Hydroponics or fish farming system or even just a large Aquarium? 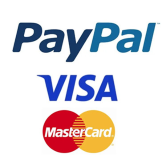 or simply have some inquiry, please call us on 02 98724494 or email your name and contact number at customerservice@clicktobuy.com.au and we will contact you shortly.